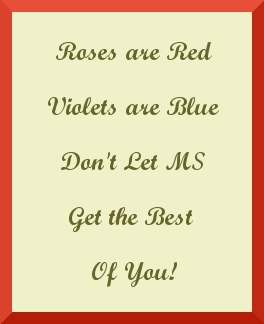 Do you love writing Poems about MS? Is writing poetry the way you deal with the stress of living with multiple sclerosis? Does writing help you cope with the uncertainties, the symptoms, and the day to day unpredictability of MS? NEW! All the poems on this page are now in eBook form! See images above and to the right to get your copies today! Well, we'd love to read your poems about living your life with MS. Even if you've written more than just one. You can share each of them here by filling out the form below. Be sure to tell your family and friends about them. They will be able to read and comment on them. Plus, they can even rate them! You know that you are a great writer, now show the world what you've got - by adding your words here - well at least our little corner of it anyway! And even if this is your very first poem or your only poem about multiple sclerosis, go ahead and add it. Also, do you know someone who has MS and writes poetry? Send them here to add their poems to this page, as well. And don't forget to add a little about yourself when you add your poem. (And tell your friends to do the same). We love learning about our visitors and who they are. You can add a picture of yourself or one that illustrates your poem about MS, as well. So what are you waiting for! Jump right in and show us your creative side! Write that poem or find one (or two, or three, or more) that you've written already. Polish 'em up and submit them. We can't wait to see what you have to offer. And remember to let your family and friends know that you have a poem here so that they can come and comment, share, and otherwise brag that they know you. Meanwhile, here are the links to each of the poems that have been written by other visitors who've submitted poetry on this page. You will find them below. There are links at the bottom of each poem to take you to more poems. Come Share Your Poems with us. Do you write Poems about MS? Well now you can add them here! Poems that share your feelings about multiple sclerosis. Here's your chance to share with others your creative side. Your poem and comments will appear on a Web page exactly the way you enter it here. You can wrap a word in square brackets to make it appear bold. For example [my story] would show as my story on the Web page containing your story. 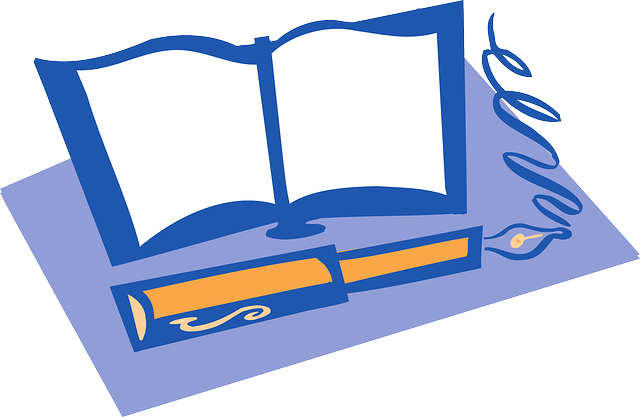 Want to add a picture to illustrate your poem? Great! Click the button and find it on your computer. Then select it. Want to Read Poems Contributed by Other Visitors? Click the links below to read poems added by other visitors to this page.